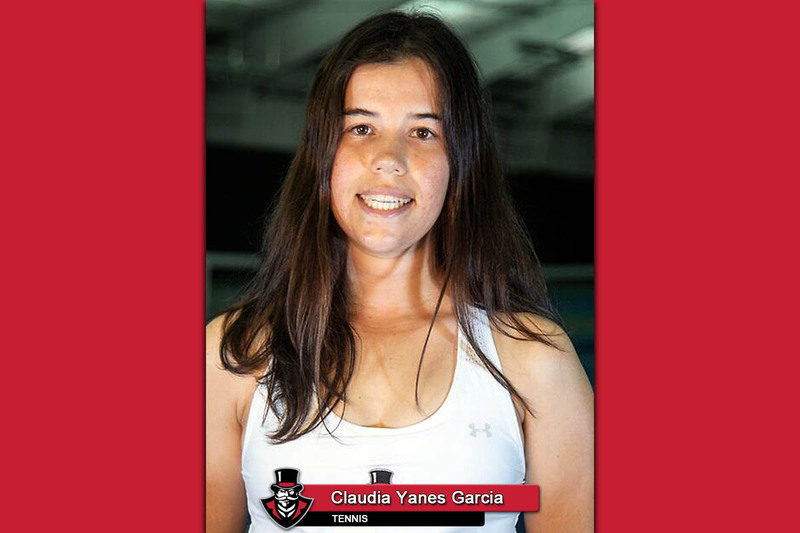 Brentwood, TN – After a dominating week of play, Claudia Yanes Garcia, of Austin Peay State University (APSU) women’s tennis team, was named Ohio Valley Conference Co-Tennis Player of the Week. Yanes Garcia went 4-0 across doubles and singles matches last week, as the Governors rolled over Cumberland and Central Arkansas to improve to 6-0 to start the season. Teaming with her twin sister at No. 1 doubles, Lidia Yanes Garcia won both doubles matches. The pairing won the opening doubles match against Cumberland before clinching the doubles point against Central Arkansas. Yanes Garcia was even more impressive in singles, as she won each of her two matches in straight sets, playing at No. 2 singles in each of them. Yanes Garcia defeated her opponent against Cumberland, 6-3, 6-2, before obliterating her foe against Central Arkansas, 6-0, 6-2. Hampered by injury in her junior campaign, Yanes Garcia has come back strong. The two-time First-Team All-OVC honoree is currently undefeated in singles this spring and has won three straight doubles matches. Since the first match of the season where she won in three sets against MTSU, Yanes Garcia has won every singles match in straight sets. Yanes Garcia shares the award with Jacksonville State’s Harriet Hamilton. The Govs have one match this week, hosting IUPUI, 11:00am, Friday to conclude their five-match home stretch.